Nanomedicine firm Nanobiotix has called in College Hill Life Sciences to handle its global and financial corporate PR work following the company's public listing. Nanobiotix listed as a public company in October 2012 on the Euronext stock exchange. College Hill will provide counsel and ongoing support to help the company communicate with global audiences, as well as ensuring it follows correct procedures and best practice now it is a listed firm. College Hill Life Sciences, part of the College Group, is the first agency to be appointed to the account on a retained basis. Paris-based Nanobiotix is dedicated to the development of new treatments for cancer through innovative nano-particle technology. Nanobiotix claims it is developing tools for cancer that may reshape future treatment opportunities. Melanie Toyne-Sewell, partner at College Hill, is leading the account. The brief is to extend awareness of the firm beyond France among medical professionals and the business community globally. 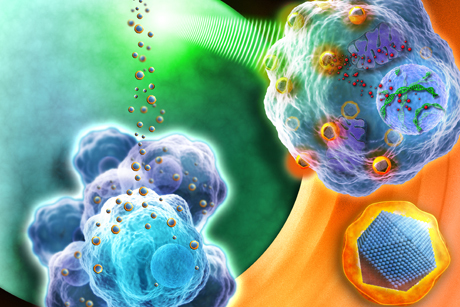 ‘Specifically, our remit is to position Nanobiotix as pioneers in nanomedicine-enabled radiotherapy for more effective cancer treatment,’ added Toyne-Sewell. Meanwhile, College Hill Life Sciences recently expanded its investor relations and financial PR division with the appointment of Veronica Sellar as partner. She will work with Toyne- Sewell and partners Dr Lynne Trowbridge and Chris Fisher, as well as managing partner Sue Charles.